Eric and Patrick Trautt, owners of Iron River/Poplar Building Products, have expanded their service area with the recent opening of Ashland Building Products at 218 Sanborn Avenue in Ashland. They continue to be your full-service lumber yard with a large inventory of quality products at competitive prices and expert, friendly service with free project quotes and free delivery. 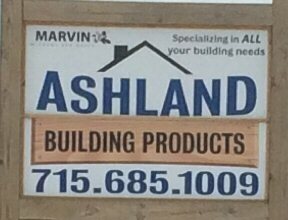 They look forward to helping you with your building needs at all three locations.